Stand out among the crowd in this Pro Dry Polo. Reflecting Canterbury’s commitment to cutting-edge fabric technologies and stylish design, this polo uses moisture-wicking, anti-odour Vapodri coating, which will keep you dry and refreshed during even the most intense training sessions. With its highly breathable polyester-elastane sleeves you’ll enjoy free movement for increased athletic power, whether you’re hitting the gym or out on the field. You’ll look great too, with the classic modern design of the polo incorporating a self-fabric collar and a two-button placket. 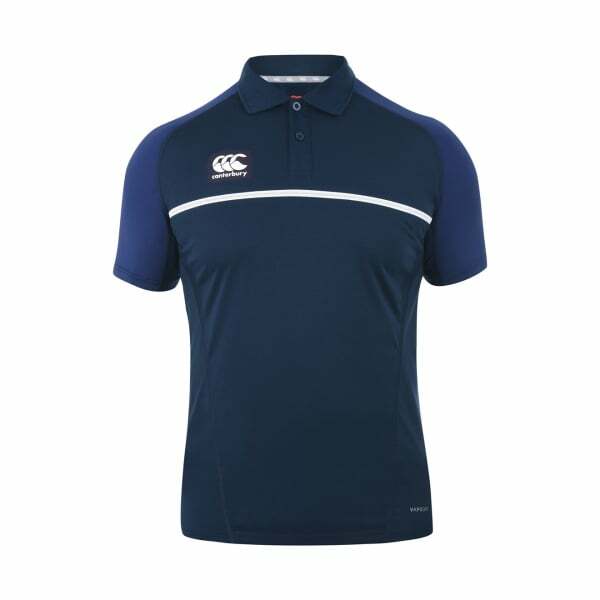 The 3D matt transfer branding further makes this polo a stylish stand-out that will group you as part of the well-established Canterbury community of athletes and fans.